The origin of Ramen remains as a mystery. Some may say it's Japanese, others may argue it was first created by the Chinese cook. 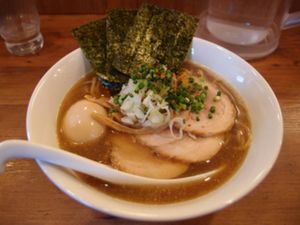 There are variety of Ramen flavors and as some may have never tried it, to some culture and even for some cities, it is known as one of the most popular dish to have and enjoy. Ramen contains noodles,soup,toppings and different type of spices. Nowadays, instant noodles are also very popular. Instant noodles were created in 1958 by Momofuku Ando, a Taiwanese-Japanese founder and chairman of Nissin Foods. So if you have never dared yourself to try more than just the regular Chicken flavored Instant noodle cups, step out of your comfort zone for once and seek out for one of these locations below to try out something that may simply change your view on what Ramen should really taste like. Four Ramen places have opened in London last year and this is something to look forward to those that are planning on visiting London anytime soon. Try out their best rated Shoryu Ramen, Bone Daddies, and Seto Ramen. Some of these are known for their chewy noodles and New York style influenced soup. DOZO 32 Old Compton Street Soho London. Located in Soho, London, their Ramen with pork slices and delicious broth has everyone in London talking about it. Mitsukoshi Ramen Bar 14 - 20 Lower Regent Street London SW1Y 4LR. This Ramen Bar is place to go to satisfy your hunger. They offer pork, seafood, miso soup based and you can choose the level of spiciness to make sure you know what to look forward to. In Japan, their Ramen soup stock is pork bone based, which is made by slowly roasting pork bones for hours and days. Here are couple of popular Ramen places that you do not want to miss out on. Ramen experience in Japan is something that you do not want to skip. Ippudo Ebisu 1-3-12 Hiroo, Shibuya, Tokyo Prefecture 150-0012, Japan. Ippudo Ebisu is known as one of the most famous Ramen chains in Japan. You can also decorate your own Ramen with all sorts of toppings, such as bean sprouts, garlic, pickled greens, and ginger. Hakusan Ramen 4-37-26 Hakusan Bunkyo-ku Tokyo, Japan. You sit on one of the stools or benches on the sidewalk for this Ramen experience. They have two types of noodles that you can choose from, one being a regular noodle, other an egg noodle. With port broth and a bit of saltiness, it's something that you can't taste outside of Japan. Everyone in Korea loves Ramen. 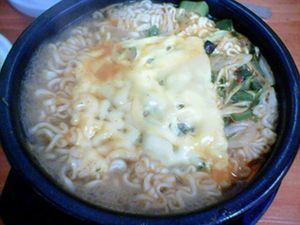 Especially South Korean locals will go wild for some cheese, spam, and eggs in their Ramen with a plate full of Kimchi on the side. Nagomi Ramen 355-8 Seogyo-dong Mapo-gu Seoul South Korea. Placed in the city of Mapo gu, Seoul, this place is known to have an amazing Japanese influenced Ramen with grilled meat dishes on the side! Tsujita LA Artisan Noodles 2057 Sawtelle Boulevard Los Angeles, CA 90025. Known for their nearly perfect broth. Santouka Ramen 3760 South Centinela Avenue Los Angeles, CA 90066. If you love pork, this is a place to go for some incredibly porky ramen. Daikokuya Little Tokyo Daikokuya Little Tokyo 327 East 1st Street. Located in the Little Tokyo, Daikokuya has their own unique intense flavor and a bit fatty broth that keeps people waiting in line all day, everyday. Yuji Ramen 95 E. Houston St. New York, New York 10002. This special Ramen place serves their noodles without broth. Guarantees that their 'gloosy and springy' noddles are carefully coated in sesame oil and soy sauce seaweed seasoning that will make your mouth melt. This page was last edited on 30 August 2015, at 13:14.